It’s an early morning September day in La Solana, Ciudad Real, Spain, and grape growers are hauling their harvests to their respective cooperatives. The morning light showers the white grapes with beautiful light and the smells of fresh fruit fill the air. Oh, it’s lovely. I’m at Cooperative Santa Catalina and am watching tractor after tractor drop off trailers filled with Airen and Tempranillo grapes. I’ve seen this at other cooperatives, but what seems to be special at the Santa Catalina operation is everybody is happy, smiling and excited about the harvest of 2011. It could be that they are confident this will be a good year, or they’re just hamming it up for the camera, but I think it’s because these producers just love what they’re doing. It’s in their blood. Many of the 1,100 members of this cooperative have been bringing their grapes here since the 1960s. Because they have focused their efforts on quality wine vs. bulk wine, Santa Catalina has become one of the premier European wine cooperatives. With its main wine label, Los Galanes, Santa Catalina is one of D.O. La Mancha’s best cooperatives, producing Airen, Verdejo, Tempranillo and Syrah. 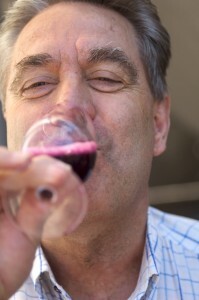 The cooperative’s president Gregorio Martin-Zarco Lopez-Villanueva, who is also the president of DO La Mancha, says La Mancha winemakers are becoming more known for quality. Martin-Zarco says the cooperative will compensate growers whose grapes were used in their bottled wines, whereas many cooperatives pay a flat fee for the grapes whether the juice is used in bulk wine, private bottling or the cooperative’s label. Santa Catalina also earns its members revenue through its olive oil. It produces about five million kiloliters of olive oil a year and ships in bulk to Belgium and Italy. It’s no wonder the members appear so happy; their cooperative truly works toward bringing them the most money as possible. And, there’s also the fact they are making some really good wine. Members get a discount on their wine. Now, that’s a good deal. 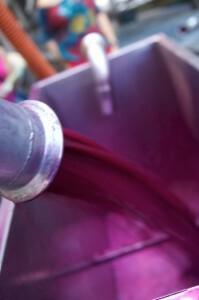 2010 – Tempranillo will be good from this year. 2009 – The climate was perfect for Airen. 2001 – This vintage won numerous awards. This lovely Reserva starts with a cherry, garnet rim color and follows up with a complex nose of ripe fruit, spice, toast, complex and red berries. It’s powerful with well-rounded tannins. It’s bright cherry color is followed by red berry and balsamic herbs nose. It’s fleshy with fruity tannins. Bright cherry and garnet rim color with a nose of elegant ripe fruit and spice. It’s a spicy palate with slight notes of black currant, blackberry and raspberry. Long finish. This is a fresh wine with good minerality and citrus with hints of tropical fruit, lemon drop and a wonderful mouth feel.